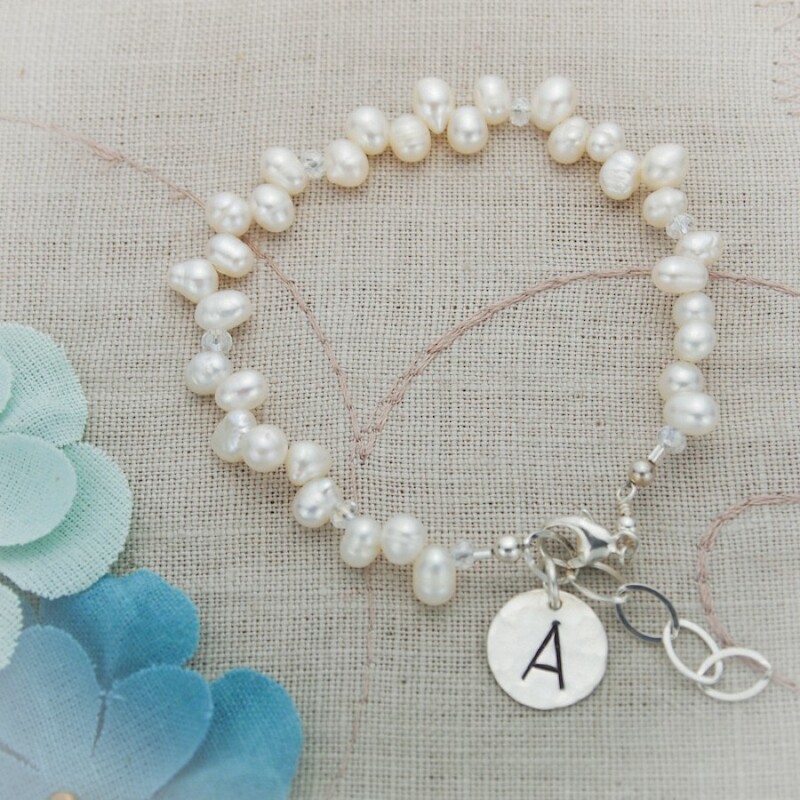 This bracelet is a must have for your pearl collection. 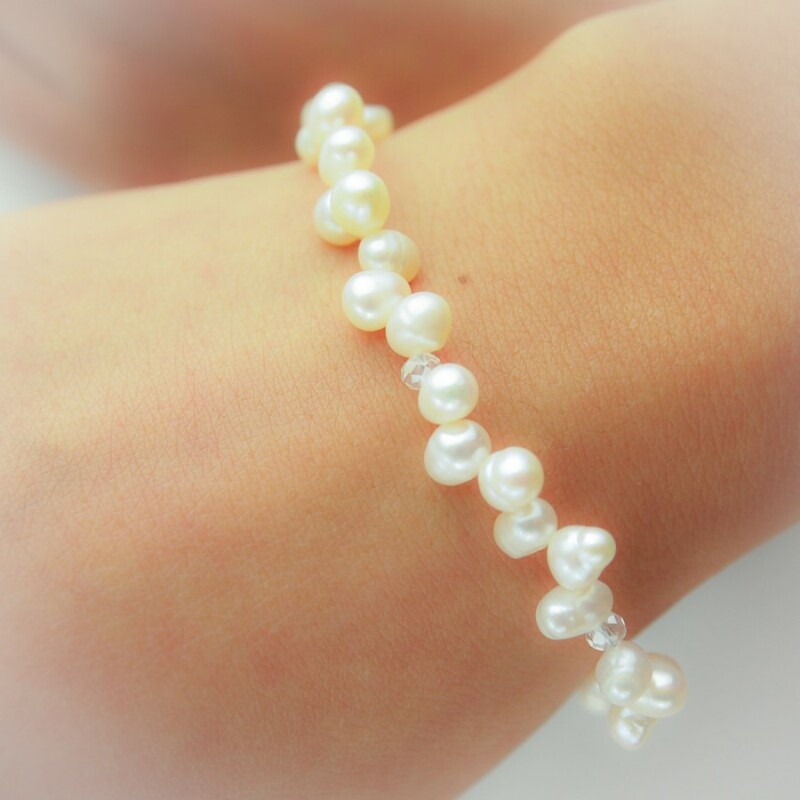 White teardrop freshwater pearls gracefully and delicately dance around your wrist. A sterling silver 1/2 inch hammered initial completes the piece and adds a little personal touch. Bracelet chain finished with a sterling silver lobster clasp.